Whether it's cockroaches, bed bugs, or wood destroying insects, we'll help make sure you don't keep unnecessary pests in your home or office. 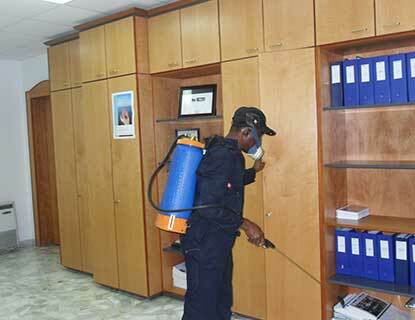 Are you looking for reliable pest control and fumigation solutions? Fumigation is the most effective pest control technique. It is a treatment where a gas is introduced into an area and allowed to remain there for a period of time to kill off a targeted insect. Whether it’s cockroaches, bed bugs, or wood destroying insects, we’ll help make sure you don’t keep unnecessary pests into your home or office. Our team of professionals will not rest until they ensure you are free from pests like cockroaches, fleas or bedbugs that are a nuisance to comfortable living. • We will carry a professional pest control inspection before we start to work. • We use the most effective methods and substance depending on the level of pest infestation. • We can guarantee that our professional team will eliminate pests from your property for a comfortable and distraction-free home or work environment.